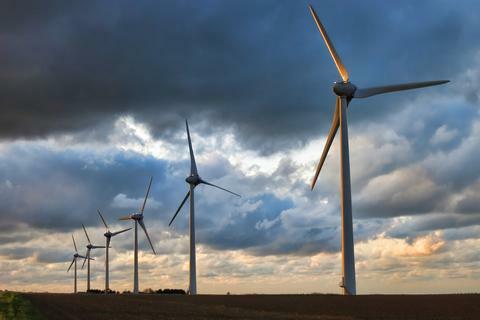 WASHINGTON - Consumers Energy Co.’s efforts to expand its renewable offerings gained some traction this week when the Michigan Public Service Commission (MPSC) approved a request for additional wind generation. Consumers had argued that both more wind and solar facilities are needed to meet the state’s renewable portfolio standard, which was expanded in 2016 to encompass 12.5 percent of the retail power of each Michigan electric provider. Those figures will continue to rise under the law through 2021 when the figure reaches 15 percent. However, Consumers’ request for additional solar facilities was delayed at this time due to what the Commission labeled unrealistically high-cost projections. Consumers will be able to add as much as 525 megawatts of new wind projects, including two proposed 175-megawatt wind projects slated to begin operation this year and next. Consumers has also been allowed to purchase the Gratiot Farms Wind Project before May 1. The MPSC said a final determination would be made on Consumers’ solar requests during a decision in April. Consumers had sought an additional 100 megawatts of solar facilities, hoping to get them online sometime in 2024 and 2025.